Thank you for visiting our site! The Broker/Owners, Sales Agents, and Staff all hope you enjoy your stay, that you find the site easy to navigate, and have some fun planning that perfect timeshare vacation. If we can help, please give us a call! 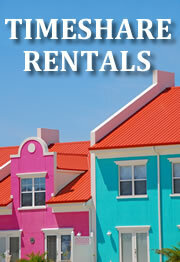 We are timeshare resale specialists and Preferred Brokers. Timeshare Broker Sales can assure you of a safe and reliable transaction. Our reputation with the resort staff, and closing/escrow companies, ensure that the documents and funds will transfer properly, and in a timely manner. This process is highly regulated, and completely transparent, to all parties involved. Our agents and administration staff will be with you every step of the way! "10 things you MUST know before buying a timeshare"
© Timeshare Broker Sales. All Rights Reserved.